Dessert at Bella Gelateria at Waterfront on September 11, 2010. Upon happenstance, walking in the rain, Colene and I stumbled upon this premiere gelateria we had both heard much about. Once inside, we chatted with maestro gelatiere, James Coleridge, who went on about his pride in their in house recipes and genuine ingredients at Bella. From real chocolate to real coffee, James is adamant about authenticity. We marveled at the wide variety of delicious, authentic flavours. 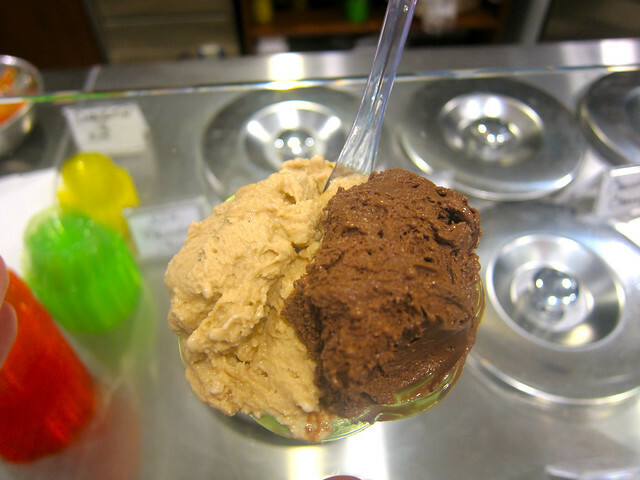 After many samples, I had the 85% dark chocolate and espresso. Of the many chocolate varieties, I thought the 85% dark chocolate had the most flavour and richest texture. I usually am adverse to the bitter sweetness of dark chocolate, but I found this to be very delectable and tasty. Colene had the classic lemon which was incredibly flavourful, sweet and full of lemon taste. 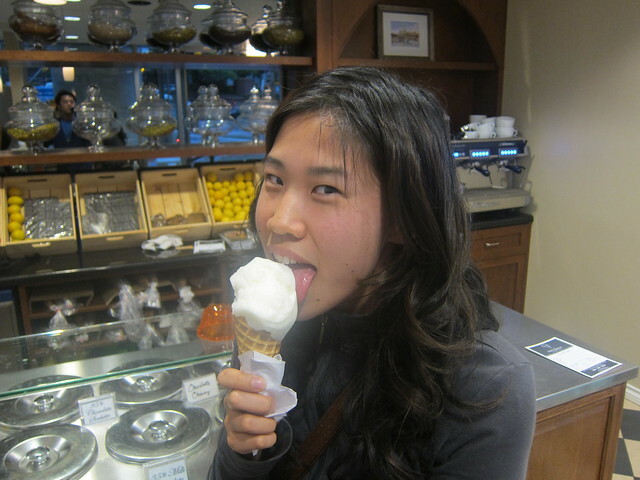 I am not generally into cold or iced lemon products (besides lemonade), but the lemon gelato was a bold treat. That said, all the flavours we tasted were quite good. All the chocolate ones were quite rich and satisfying. The black sesame was very interesting and had a rich sesame taste. 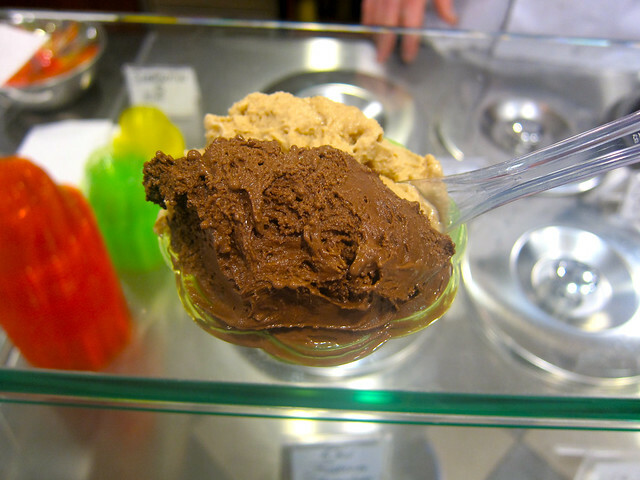 The ice cream is very thick and textured in its taste and consistency and you can savour the authentic ingredients.